Villa Stella has 6 apartaments.We are situated in the quiet area. 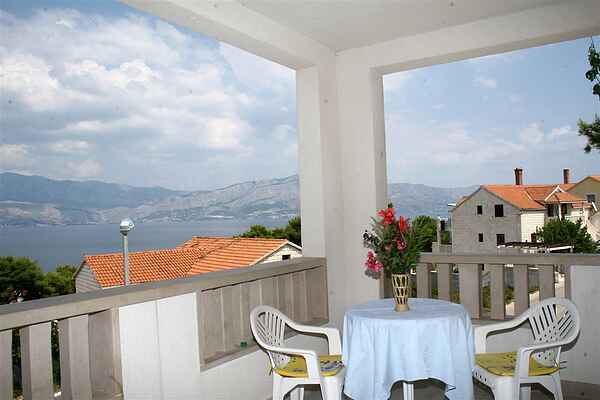 Apartaments have free internet, free parking places, TV SAT, grill, air condition. This apartment has two bedrooms; one bedroom has one king size bed + one single bed, other room has one king size bed, each room has bathroom, the living room has sofa for 2 persons. Big terrace with seaview (cca 10 m2) and terrace forniture.